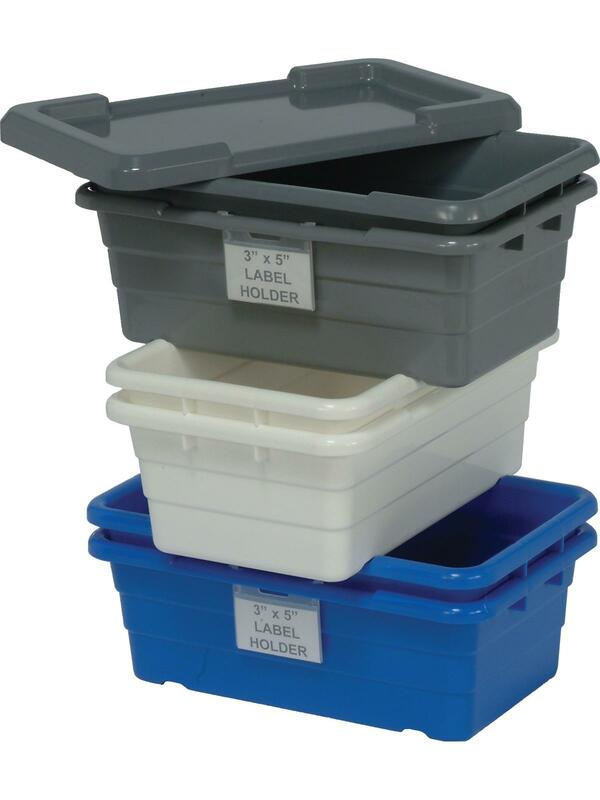 Ideal for production, assembly or order picking. Injection molded from high impact polyethylene -- won't crack, rust or corrode. Easy to clean and maintain. Built in handles and bottom grooves make handling easy. Holds up to 100 lb. loads. 8-1/4" drill hole pattern on bottom if drainage is required. Available in Gray, Blue or White. FOB Shipping Point. HTUB2516-8 and HLID2516-8 are also available in Red and Yellow. Tubs and lids sold separately. 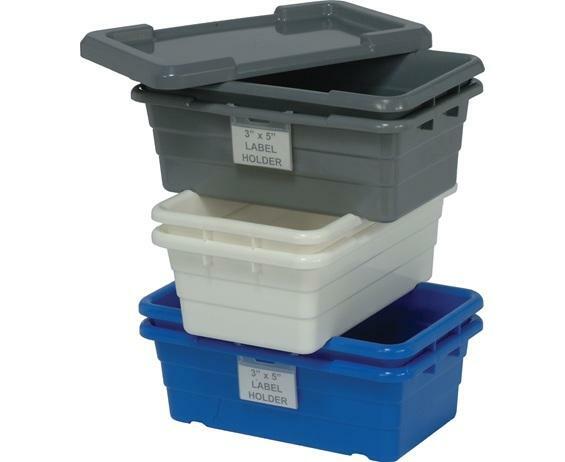 See Related Items tab below for Mobile Tub Racks and Optional Clear Label Holder. L x W x H 17-1/4 x 11 x 12" 17-1/4 x 11 x 8" 17-1/4" x 11" 23-3/4 x 17-1/4 x 12" 23-3/4 x 17-1/4 x 8" 23-3/4 x 17-1/4" 25-1/8 x 16 x 8-1/2 25-1/8" x 16"